Many visitors quickly found their way to the zoo and the number kept growing. In 2004 the zoo became full member of EARAZA (Eurasian Regional Association of Zoos and Aquariums) and was first private zoo in the country (after-revolution) to obtain license by the Ministry of the Environment. Already in the first yeas of its existence the zoo achieved remarkable successes in breeding - for example repeated breeding of Rhinoceros Hornbill, first to breed Temminck’s Tragopan in the country, breeding of See-see Partridge and Caucasian Grouse (first on the world). 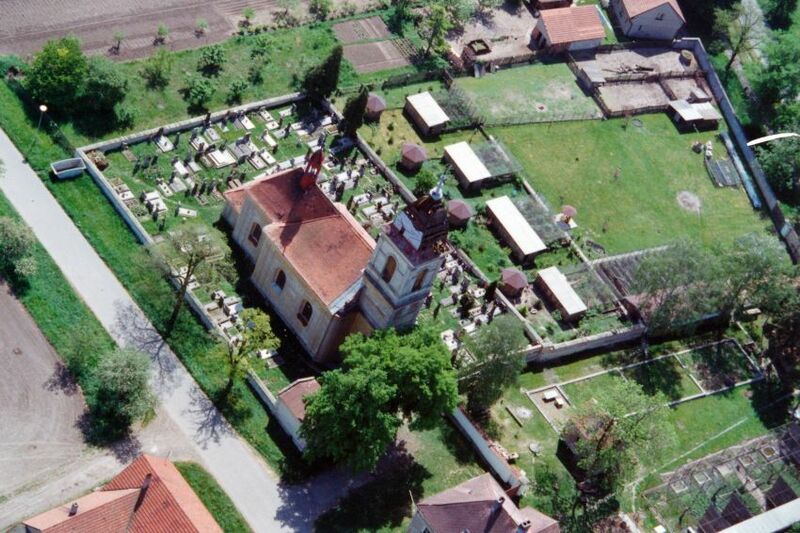 aerial view of the beginning zoo (~2000)Zoo with its area of only 0.6 hectares belonged among the smallest in the country. However, that has changed, too. In 2008 was bought a land of past field with size of 3.7 hectares, located just across the road of the zoo. 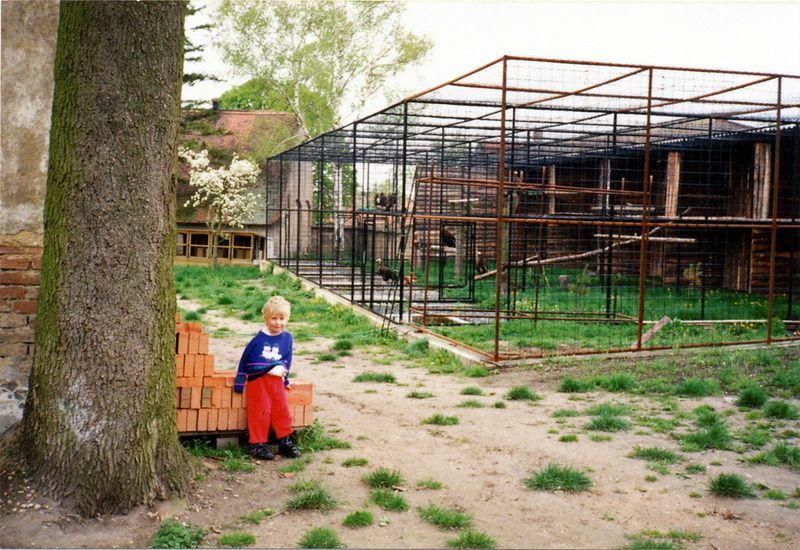 Administrative processes took few years before it was possible to build and expand the zoo. First was built a parking lot, planted thousands of trees and bushes, realized engineering sites, and by the end of 2012 a first animals were added - Camels. In the following year, thanks to grant received by the Ministry of Agriculture, began constructions of modern environmental center in traditional barn style and large playground. More works are fully undergoing. Zoo is constantly growing and still keeps visitor affable with friendly, even family atmosphere. More than 70 species form all continents (except Antarctica) and numerous plants (i.e bamboos) are to be seen there.